I’ve always known. The first story I remember actually writing down was basically fan-fiction of The Wizard of Oz. I wrote it in long-hand in a yellow legal pad. I’ve been writing ever since. If you were stuck on a deserted island and you could bring 3 of your favorite books, what would they be and why? This is an unfair question, so I’m going to cheat. 🙂 I would bring an anthology of British literature, an anthology of world literature, and an anthology of science fiction and fantasy. In today’s hectic world, it seems like people just don’t have enough hours in the day to do the things they want to do because of all the things they need to do. If you had 72 hours of uninterrupted ‘me time’ what would you do? Would you write? Oh. 72 whole uninterrupted hours all to myself? That sounds heavenly. I would definitely write. I would also read. And I would sleep. A lot. I don’t get enough time to do any of those things! If you were to remove the actual title – so that only the ‘cover’ was visible to readers – what do you think would make your book stand out from other in the genre? The snake, definitely! And the tattoo of the mongoose. Who designed your cover? Did you play a major role in how it came out looking? Or did you say ‘I really don’t know what I want on it – but when I see it…I’ll know’? Kelly Abell did the cover, and I had quite a bit of say in it. I love what she came up with based on my sketchy description. Thinking of the First 500 words to your book, what was the main idea you wanted your readers to walk away with? I don’t want them to walk away at all after the first five hundred words! 🙂 But if they do, I want them to wonder what the hell happened to cause Callie to wake up dead in Alabama. If possible – please write ‘the hook’ of your story in 25 words or less. 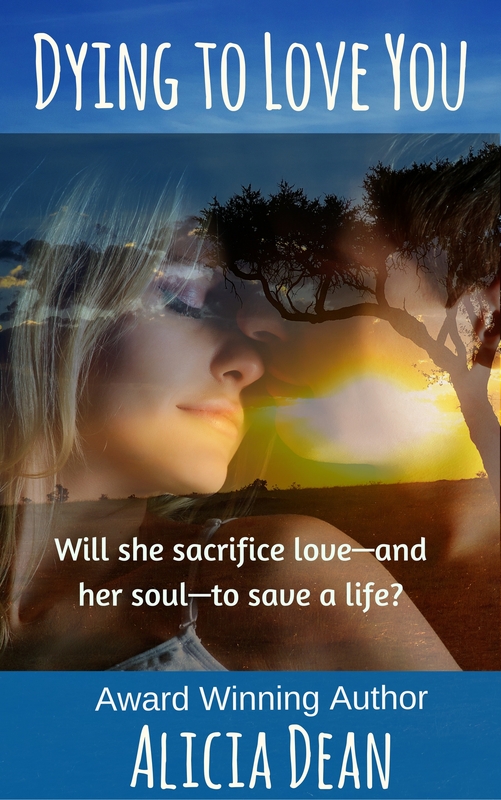 When she died, Callie Taylor expected heaven or hell. She got Alabama. If a Hollywood agent came to you today and asked you to choose your dream cast to be in the movie version – who would you want to play the leads? Jennifer Lawrence has the perfect girl-next-door vibe, and if you’ve seen the clip of her joking with Jack Nicholson (http://www.youtube.com/watch?v=WJmhsJ5T5L0), it’s clear that she can also do funny and snarky, which is an absolute necessity for any actress who plays Callie! I just love Kat Graham. I love it that she’s beautiful and smart (she speaks something like five languages!). Ashara has to be strong and kind, too, and having seen Graham’s work in Vampire Diaries, I think she would make the perfect Ashara. There was never any question about my dream actress to play Maw-Maw. The first time I saw Maw-Maw in my mind, she had Ruby Dee’s face (and my grandmother’s way of moving and my great-grandmother’s voice!). Maw-Maw is canny and wise and smarter than anyone gives her credit for being. Because who wouldn’t want Chris Hemsworth in a movie?! Seriously—Hemsworth’s blond good looks will suit Stephen nicely. Also, he can do quiet and strong nicely; Stephen often takes a supportive role, keeping Callie, Ashara, and Maw-Maw safe and working to help all of them as they solve the mystery surrounding Molly’s death. The villain needs to be creepy! Burke isn’t ugly like Howard is in the book, but he can do an amazing sneer. I think he could play up the psychopathic elements of the book’s villain. Although Molly has only a small appearance in the book, as the victim, it’s an important one. I think Jessica Alba would be perfect for this role—her dark hair, dark eyes, and olive skin are important to the plot, and Alba’s sweet demeanor would play nicely, too! Jared Padalecki does emotionally distraught so perfectly that he would be a great candidate for the role of Rick McClatchey, a man wrongly accused of killing his beloved wife. What is next on the horizon for you? I’m working on sequels to Waking Up Dead and to Legally Undead, the urban fantasy I have coming out from World Weaver Press in 2014. I’m editing a young adult paranormal romance. I’m also working on a contemporary romance novel. And I have the beginnings of two others—one’s a paranormal romance, and the other is what I’m calling my Regency Romance in Space. Please, indulge the readers of this review – Do you have any sort of ‘ritual’ you go through when you’re working? Perhaps you must always have a cup of coffee and a cheese Danish before you can even consider writing? Maybe you only write after you’ve had your morning walk? Mayhap you wait until it’s completely quiet to gather your thoughts – or – you like to ‘rock out’? I used to have elaborate writing rituals, but now I just write whenever I can get a spare minute! I usually have to have coffee or tea. I have an office that I use for all my work: academic writing, fiction writing, editing, and online teaching. My desk is against a window so I can see outside. I’m surrounded by books and papers. I write directly on my laptop, but when I get stuck, I sometimes switch to handwriting; this seems to shift my brain onto a different track and helps me get over writer’s block. I write something every day, whether it’s academic writing, fiction, or my blog. What sort of advice would you give to new authors? The very best advice I ever got was just this: keep writing new things. Always have a work in progress. Finish writing a piece, do a quick edit, and submit it somewhere for publication. Then move on to the next project. Don’t wait to hear back—that way lies madness! If it’s rejected (and often it will be; that’s the nature of writing for publication), don’t let it get you down. Just send it out again and go back to your work in progress. I get stuck, like everyone. I hit writer’s block sometimes. But when that happens, I usually switch over to another project or go for a walk. Sometimes I’ll go back and try to work on editing what’s already done. But I loathe editing and revising. I know it must be done, but I hate it with a fiery passion. So that usually prompts me to go back to writing! Wow, enjoyed the interview. Loved seeing your entire cast of characters. I am a Vampire Diaries fan and I agree about Kat. I’ve been fortunate enough to meet her and she’s even more gorgeous in person, if that’s possible. LOVE your hook. Who would be able to resist that? Lindi Parker works hard at being human, not an easy task for a snake shifter. She has no desire to search for others like her—until a new case changes everything. 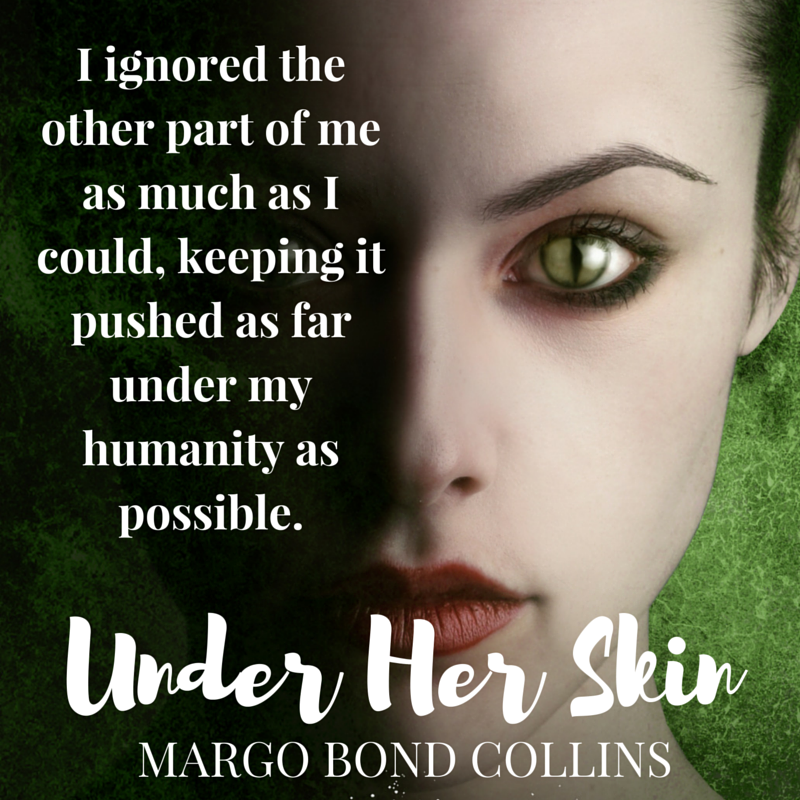 When Lindi learns that she she’s not the only shapeshifter in the world, she also realizes she might be next on a killer’s list. In order to save herself and the abused children she works with, she will have to team up with Dr. Kade Nevala, a member of the shifter tribe responsible for eradicating weresnakes—and the most attractive man Lindi’s ever met. Even more terrifying, she’ll need to embrace her serpent side, a choice that has enormous consequences for Lindi, and for everyone around her. I’m not the kind of woman who goes around kissing strange men—especially strange men with hypnotic gold eyes who set off every internal warning system I’ve got. And as a general rule, I avoid making out with men who drag me into dark rooms against my will. But all those rules went out the window when this man kissed me. His lips burned against mine, searing something deep inside, heating me to my core. The almost peppery scent that had frozen me earlier now flooded my senses. His hands dropped from my shoulders and ran down my arms, wrapping around my waist and pulling me closer to him. Muscles that moments ago had been writhing in an attempt to shapeshift now twisted to move closer to him. Margo Bond Collins is addicted to coffee (mmm…caffeine) and SF/F television, especially Supernatural (mmm…Winchesters). She writes paranormal and contemporary romance, urban fantasy, and paranormal mystery. She lives in Texas with her daughter and several spoiled pets. Although she teaches college-level English courses online, writing fiction is her first love. She enjoys reading urban fantasy and paranormal fiction of any genre and spends most of her free time daydreaming about heroes, vampires, ghosts, werewolves, and the women who love (and sometimes fight) them.